Lawless, directed by John Hillcoat (The Road, The Proposition), is about a gang of bootleggers in Virginia during the Great Depression. With Guy Pierce, Gary Oldman, Tom Hardy and Shia LeBoeuf starring in a gritty and evocative story about brothers who try to create their own American Dream during Prohibition. 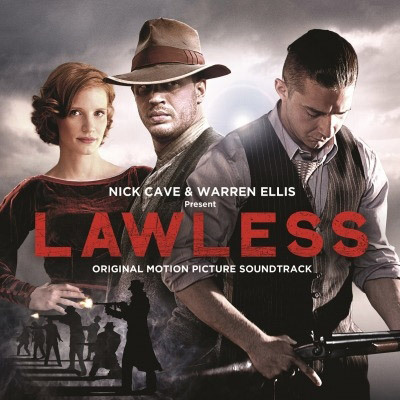 None other than Nick Cave helped Hillcoat with the screenplay, while he also took great care of the movie’s soundtrack. Cave and fellow musician Warren Ellis form the core of The Bootleggers, a country and bluegrass ensemble that welcome a string of guests artist like Emmylou Harris, Ralph Stanley and Mark Lanegan. 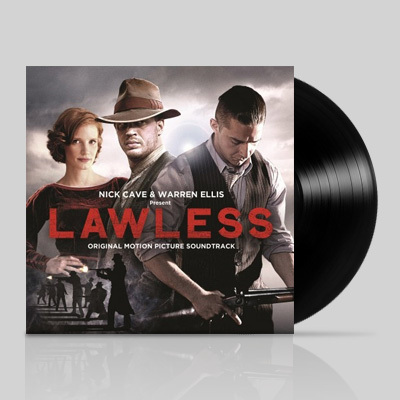 The Lawless soundtrack contains cover versions of artists such as Velvet Underground and Captain Beefheart and also features original compositions by Cave/Ellis and the great Willie Nelson.